When an opportunity presents itself, smart people jump on it. For Brian Thomas, that moment came a few years ago when Swope Health Services was restructuring its executive team. 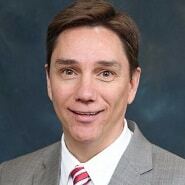 Seeking to learn more about the business, Thomas asked to take on a 90-day assignment as interim VP of operations, and in doing so, impressed the board enough to earn a new title. In this interview, Thomas talks about what he believes it takes to become a successful CIO, why leaders must “get in the trenches” to better understand user needs, and his philosophy when it comes to innovation. He also talks about how his team is preparing for the ACO world, the dangers of over-customization, and the strong foundation he was able to build during his time with the Marines. You come to a fork in the road and have to decide which way to go. And believe me, there have been a few sleepless nights where I had to make those decisions. But I’m happy to say that I don’t regret any decision in my career. On a moment’s notice, if you’re all the way down at the lowest levels and one of your leaders is taken out, you may be asked to step into that role. And so, knowing your organization’s business inside and out is essential. If you can build trust at the highest level with your entire staff, you know you’re going to get from point A to point B, and get there on time. If you try to be a leader by yourself and sit in a silo and just because you have that title, life will be very difficult. It was more of a hobby that turned into, ‘you know what? I like to talk about what I do in the industry and what other people are doing.’ I’m not the greatest writer, but I know that getting out there and sharing your experiences with people is helping them. Gamble: Now, as far as coming to Swope, what was it that made you interested in this organization in particular? Thomas: There was some interest there, obviously. But, as I had mentioned previously, when I was at the hospital system, my role was in jeopardy due to the sale of the organization to another system. Since I’ve been in health care about 20 years now, Swope was an easy choice. I knew it was an organization where I can actually contribute to the community of Greater Kansas City, and the people who are most in need. Of course, what I didn’t realize working in a non-profit community health center is that it has its own challenges on top of healthcare technology, which is challenging, to say the least. Gamble: What have you found to be the key challenges? Thomas: We have to compete, just like the big hospital systems, but on a lower budget. Just to give you some stats, about 53 or 54 percent of our patients are self-pay, meaning they’re uninsured. About 30 percent of those, or more, is on Medicaid. There’s a certain percentage on Medicare, and about 3 percent is commercial. So, as you can see, we work in a tough business. Gamble: Right. So, as you mentioned, you’ve been in health care for quite a while, but in different roles or different capacities before coming to this role. Thomas: Yes. I’ve been in healthcare IT about 20 years, in various roles from being a systems administrator and a programmer early in my career, working in the trenches, to being a manager and director for many years. The accumulation of that experience has put me where I am today. It’s not that I necessarily wanted to land in health care — and that’s where I landed early in my career, but I would have to say health care is definitely an industry I’d like to stay in for the remainder of my career. It’s got a lot of work and challenges of its own that we all acknowledge, but I do love it. I really do. Gamble: Are you surprised at the direction your career has taken, especially looking back at being a programmer? Did you think you’d land in the spot where you are now, or is that just how things unfolded? Thomas: Things just unfolded that way. I think life would be boring if you knew what was going to happen. Obviously, there have been times during my career where I had to face a decision. You come to a fork in the road and have to decide which way to go. And believe me, there have been a few sleepless nights where I had to make those decisions. But I’m happy to say that I don’t regret any decision in my career about which way I went, but certainly say it’s something I didn’t anticipate necessarily from day one. Gamble: Right. If you’re willing to try different things and go into different roles, good things can happen. Gamble: Now, as far as your military experience, you were with the Marines for a while, correct? Thomas: Correct. There’s no doubt that my military experience in the Marine Corps has shaped who I am today. It certainly provided me a strong leadership foundation. The military, overall, teaches leadership, but in the Marine Corps, we’re a small branch, but we take pride. The Marine Corps takes that leadership to a whole new level. I’m very proud that I had that opportunity to serve, and also to learn from that experience. Gamble: Have there been specific times where you could really tell you were benefiting from that experience or is it more in the way you try to carry yourself in general? Thomas: It’s probably been a little of both. The Marine Corps obviously has a different mission than in the civilian world. Their job is to be the most lethal fighting force. And on a moment’s notice, if you’re all the way down at the lowest levels — a fire team leader, squad leader, platoon leader, company commander or battalion commander — if one of your leaders is taken out, you may be asked to step into that role. And so, like I was saying earlier, knowing your organization’s business inside and out is essential. That’s how it’s taught in the Marine Corps. Right as you get out of boot camp, you’re taught those leadership traits that every Marine should possess, because you may be called on that at some time during your career. I certainly was in the Marine Corp; I was there for four years. So it was a great learning experience that was my foundation to my leadership today. Gamble: Right. Now, I know this is probably difficult to answer, but how would you characterize your leadership strategy? Are you somebody who communicates very often or are you hands-off versus being or hands-on? Thomas: Sure. Early in my career, I worked in the trenches. I understand that if you know more about a particular process or if you’re a subject matter expert, it empowers you. The more I know about the areas that fall under my responsibility, the stronger I am. So in terms of being a leader, knowledge is number one. Number two is building relationships. For example, if you can build trust at the highest level with your entire staff, you know you’re going to get from point A to point B, and get there on time. If you try to be a leader by yourself and sit in a silo and just because you have that title, life will be very difficult. What I’ve learned is if you treat everybody with respect and communicate often and clearly, everybody will do the same thing and perform at the levels you’d like them to perform to get the things done. And the benefit of this is limited turnover. In the last 10 years, I’ve virtually had zero turnover in my department. That’s the type of leader I am—I like to really build up the community and the team. It’s all about the team. It’s never about an individual. Obviously, I recognize individuals that go above and beyond, but it’s clearly not about me. It’s clearly about the team and the mission. Gamble: Right. The last point I wanted to touch on was your blog, Divergent CIO. I don’t know if you’ve always been somebody who writes, but it can be challenging to be so transparent. What made you get into this, and what do you get out of it? Thomas: Really, it’s just satisfaction. Years ago, I designed and developed websites, and it’s something I still am passionate about, seeing how website development has come in the last 20 years. So it was more of a hobby that turned into, ‘you know what? I like to talk about what I do in the industry and what other people are doing.’ I’m not the greatest writer, but I know that getting out there and sharing your experiences with people is helping them. That’s where it started. In the process, I’ve developed this brand or following, and it’s been great. I’ve actually learned a lot more because of actually blogging. Other industry professionals have reached out to me and shared their insights and comments, so it’s been great. I hope to continue to do it. Gamble: It’s great to see, and I think there’s definitely a need for it. There’s so much need now for sharing of best practices, and that seems to me like a really efficient way to do it. Gamble: All right, I know we’ve touched on a lot. I don’t know if there’s anything we missed, but I wanted to thank you so much for your time. Thomas: You’re welcome, Kate. I appreciate this opportunity. 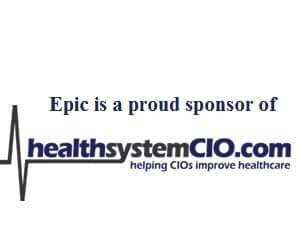 I love working with healthsystemcio.com. It’s been great, and I hope to learn from you all. All the information that you all share is very insightful for me and it actually motivates me to continue to contribute to the industry. Gamble: Thanks for saying that, it’s nice to hear. And thank you so much for the time. I definitely hope to reach out to you again in the next year or so, and see how things have progressed. Gamble: Thanks so much and enjoy the rest of your day.